Every now and then you run into a cool system-level Android app that does some really interesting stuff -- and does it well. 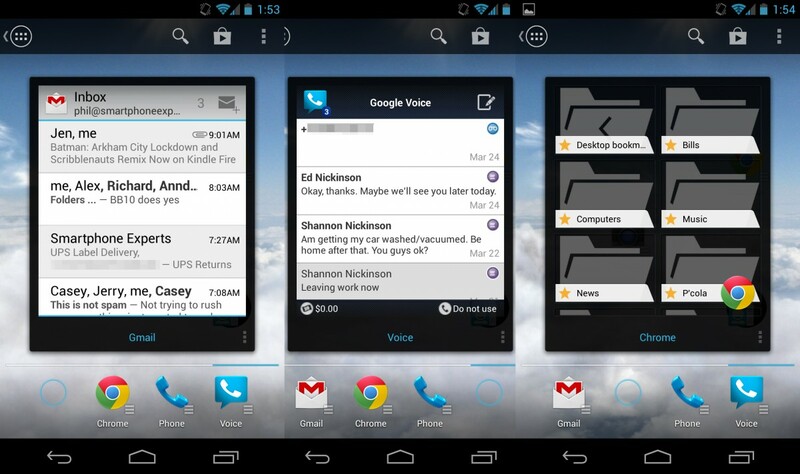 Action Launcher is one such application. From Aussie developer Chris Lacy, Action Launcher, erm, launched in October 2012 and shifted the usual Android launcher paradigm -- the home screens for app icons, folders and widgets, and a separate app drawer full of icons -- to a far-left (and extremely speedy) list view for apps. An update in December brought forth Covers -- sort of uber-folders that added a slick new bit of functionality to the application. And now, we have Shutters, available in an update today along with a slew of new features and fixes. 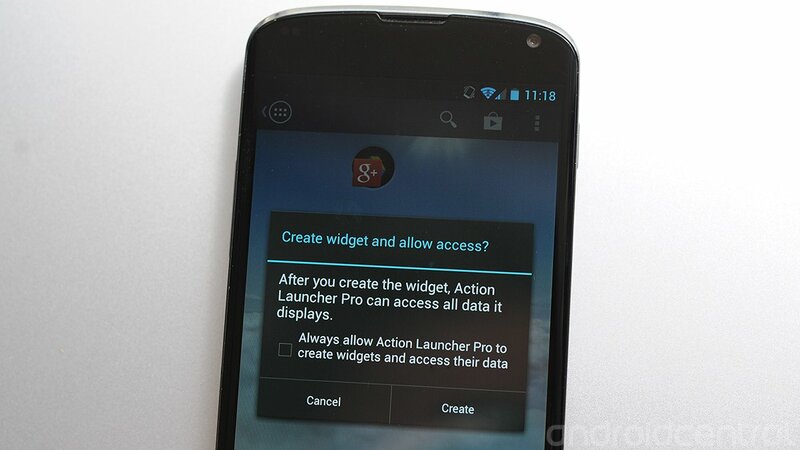 In a nutshell, Shutters are widgets launched by swiping on the corresponding app icon. Instead of a widget taking up all or most of a home screen, it stays hidden in the app icon until you swipe on it. You get a pop-up question to make sure you're cool with that and then the widget appears. The plus is that you save on screen real estate this way. No more needing a whole home screen -- and no more swiping over to it -- to get to that full-screen widget you need a few times a day. The down side is that we've found a couple widgets that aren't playing nicely on the first try. Google+ and the camera app take some patience for the widget to populate, and you might need to try opening it a second time. Check out Lacy's tutorial here, and be sure to hit the Google Play icon at the top of this post to give it a whirl.